People sometimes think that that planning for the future is something they can put off until later. However, taking steps today to plan for your tomorrow provides you the best chance to ensure that your wishes regarding your assets and your medical care will be carried out when you can no longer speak for yourself. 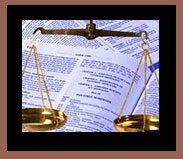 If you do not have an estate plan in place, the court will make these decisions for you. The estate planning process can raise many questions. Do I need a Will or Trust? What are the benefits, advantages and disadvantages of my options? What is more expensive to set up? What are the tax implications of a Trust? Working with an experienced estate planning attorney can help you get answers to these questions and give you the confidence you need to make the right choices. At the Law Office of Gary Hursh, I work with clients to develop estate planning solutions that best address their unique situation. To schedule an appointment contact me at 916-481-9426.
only effective while you are still alive. A Financial Power of Attorney lets you designate another person to act on your behalf regarding your assets and financial decisions, such as the power to pay bills and write checks while you are incapacitated. Trust: A Trust is a means to avoid Probate, and it can also be used to reduce federal estate taxes and shorten the time it takes to transfer assets after death. To give the Trust effect, you will also need a Pour-Over Will, and I will ensure this is created. Special Needs Trusts: A Special Needs Trust is a Trust created for the benefit of a disabled or incapacitated person. This can protect a person from being disqualified from governmental benefits, including Medi-Cal. The Trust money can then be used for things not covered by Medi-Cal, including dental care, personal hygiene items, travel or entertainment without jeopardizing the beneficiary's access to governmental benefits. Some attorneys who have high-volume Wills and Trust practices don't always take the necessary time to fund a trust. They don't transfer the title of assets to be placed in a Trust, for instance, and in the process undermine one of the reasons for having a trust. At the Law Office of Gary Hursh, you can take confidence in knowing that I will work with you to carry out your wishes. I believe that peace of mind starts with having the benefit and careful attention to detail on your side. To schedule your initial consultation, please contact me at 916-481-9426. Conveniently located next to the Carmichael Post Office, my office is open from 9-5. I can also meet with clients in the hospital or nursing home by appointment.